I'll accept the warm-up period as well. I appreciate your accommodation. So that's why The Last Remnant disappeared from Steam! They're making a shiny new remaster of it! 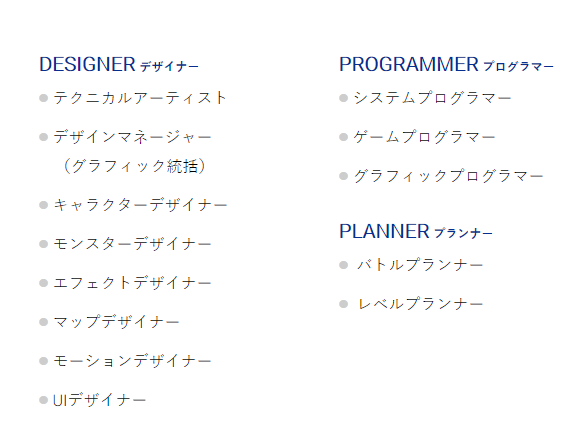 Project Prelude Rune, helmed by Tales veteran Hideo Baba, and based on the studio's recruitment listings, several, several years off. The Last Remnant was a surprise favorite for me, so that's cool. New Kingdom Hearts III trailer, featuring Big Hero 6. It's shocking how good this game looks. "Project Judge" aka "Judge Eyes" in Japan - new game from the Yakuza studio. It's a detective/lawyer game? But uses the Yakuza 6 engine/assets? Looks really promising. Tales of Vesperia getting PS4/XBone/PC/Switch ports. New Samurai Showdown game. Yes, that Samurai Showdown. The Steam port had a whole suite of improvements, didn’t it? This would presumably be based on that version, if so. Yeah, the Steam version is way better. The biggest change being that you can fill your party with unique characters instead of just 3-5 unique and a bunch of faceless generics. The 360 version was likely compromised for performance reasons. I'm not sure if the PS4 version is going to be significantly different from the PC release. It looks mostly the same in screens, though I've heard in a few places that it may be running on a new engine? I wouldn't mind playing it again, so I hope it gets another PC release. Right now, they're saying it's PS4 exclusive. I am all about that Project Judge game. The only reason you would do an updated PC version is to up the options and add borderless windowed support; the game still looks really good on modern rigs even if the resolution options are limited. The dev team put a lot of effort into proper modelling and textures. The only reason you would do an updated PC version is to up the options and add borderless windowed support; the game still looks really good on modern rigs even if the resolution options are limited. The dev team put a lot of effort into proper modelling and textures to can sell it as new again for $40-$60, instead of as a semi-retro game for $10-$20. They didn't announce the PC version, but let's be real they definitely delisted it from Steam so they can do this once the PS4 EXCLUSIVE!!! (for now) window closes. Yeah, I'm sure the reason they removed it on Steam is so they could sell it to you for more money on PS4. Then rerelease it on Steam with a few new options and a higher pricetag over the original Steam edition. Even though I own it on Steam already I'd be more inclined to finally play the thing on PS4. But will that inclination be higher than "owning it on Steam for years and never touching it?" I'm skeptical. It looks like the Yakuza game I’ve always wanted. I just hope the tailing missions aren’t as brutal/obnoxious as most games end up being with similar mechanics. It is to my knowledge one of the few squad-based RPGs that lets you micromanage almost entirely to your heart's content outside of battle, while in-battle is mostly limited to general-ish context sensitive orders for each squad. It is also a Kawazu game, which means that it also has several obtuse gameplay layers added to the mix to really mess with you since the game does punish you for grinding (much less so in the PC version, but I doubt anyone's going to play the much worse 360 one at this point). The lack of a digital release and a limited print run have already pretty much ensured the chances of anyone playing the 360 original again are slim. On the other hand, low demand means that Amazon is currently glutted with cheap physical copies for the 360. Anyone who wants to play it and owns the console should have no problem doing so. Huh, $24 for a new copy...Didn't expect that. Yes, but are you shodown? They told me they're porting Ace Attorney 1-3 to Switch, PS4, Bone, and PC. So no DQ Switch news huh? Oh! And here I was thinking everything had concluded.